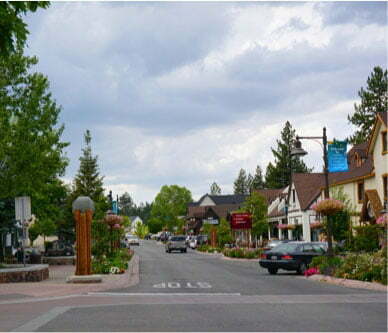 Summers in Big Bear, California, are full of activities for the whole family. Indulge in some golf, horseback riding, hiking, kayaking, and more! If you’re looking to have some fun in the sun, you’ll definitely enjoy Big Bear Lake swimming. There’s nothing more refreshing than cooling off in the clear water! We know that our customers deserve the very best vacation possible, so we’ve listed out our favorite spots to get in the water. If you’re planning a summer vacation to Big Bear, take a look at our complimentary Vacation Guide. We know that planning a vacation can be challenging, so we created this free guide to save you from hours of research. 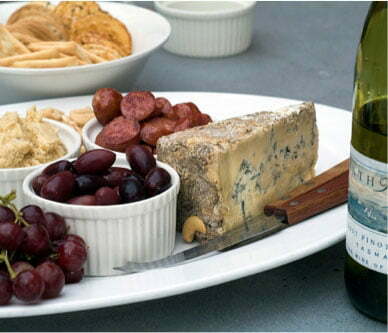 In it, you’ll find a handpicked list of local activities and businesses. Whether you’re looking for Big Bear Lake swimming, boat rentals, or the best restaurants, our free guide can help! Located at 41911 North Shore Drive, East Boat Ramp Beach is one of this summer’s best places to enjoy a nice sandy beach and indulge in some excellent Big Bear Lake swimming. Equipped with public restrooms, picnic tables, and a fantastic fishing dock, East Boat Ramp Beach is a perfect destination for a day of fun in the sun. There is nothing better than splashing around in the summer heat then retiring under the shade of a tree for some respite and relaxation. 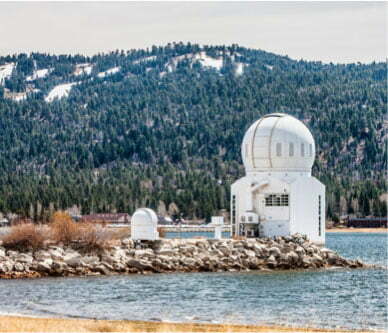 For the more adventurous swimmers, Garstin Island, also known as China Island, is located just off the westernmost shores of Big Bear Lake. You can find parking near mile marker 44.65 on SR 18; from there, it’s a short jaunt to the banks of the lake. In order to get onto the island, you have to take a short swim from the shore or a quick boat ride. Once you reach the island, its massive boulders are a great place to enjoy some incredible Big Bear Lake swimming. Make sure to check the water levels before jumping and always jump feet first as the underwater boulders can be very close to the surface of the water. Be safe! Many of our rental properties at Big Bear Lakefront Cabins have their own docks! When you indulge in a lakefront property, you can bask in the sun and then immediately cool off in the lake’s refreshing waters whenever you want. You won’t have to worry about packing the car with water toys, snacks, chairs, and all the other items your family needs for the day. All you have to do is walk out the door and take a dip at your leisure! When you’re ready to dry off, just go inside your cozy cabin. Guests with children especially appreciate this flexibility when the young ones endlessly go in and out of the water while the rest of the party supervises and relaxes from the dock or on the shore. 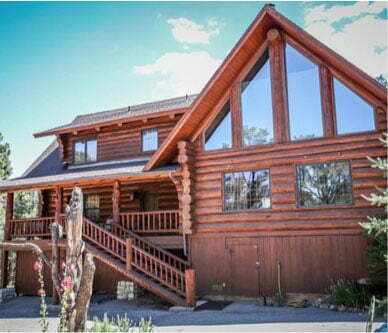 It’s time to book your summer stay at Big Bear Lakefront Cabins! Browse through our many properties to find one that suits your needs. 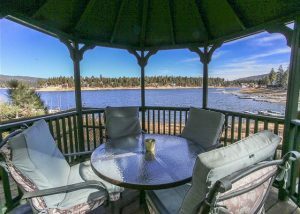 Whether you are looking for a lakefront home for Big Bear Lake swimming or one closer to town, we have the perfect rental for you! We even have pet-friendly properties so you don’t have to leave your furry friend at home. Book your stay today!